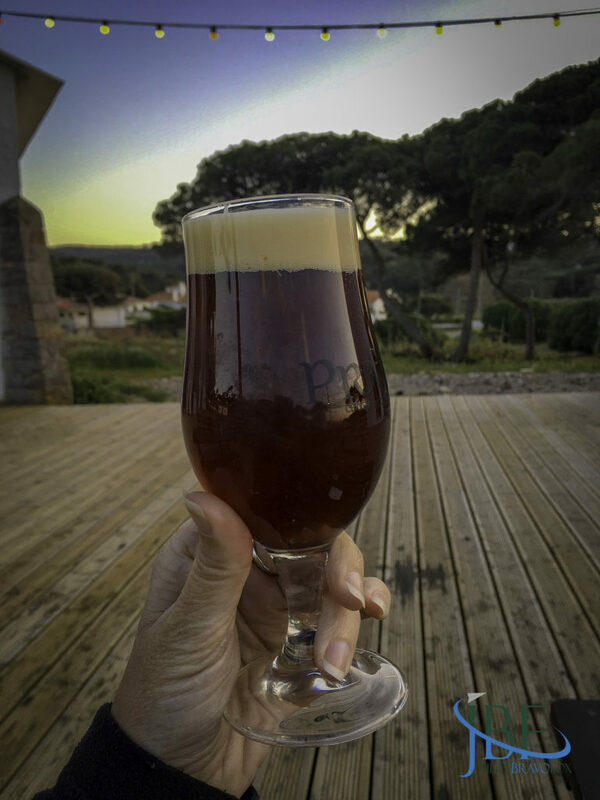 Women who brew are a rare breed in Portugal, and we’ve had fortune smile upon us enough to have a great micro brewer stake a claim just down the hill from our home in Praia das Maçãs. 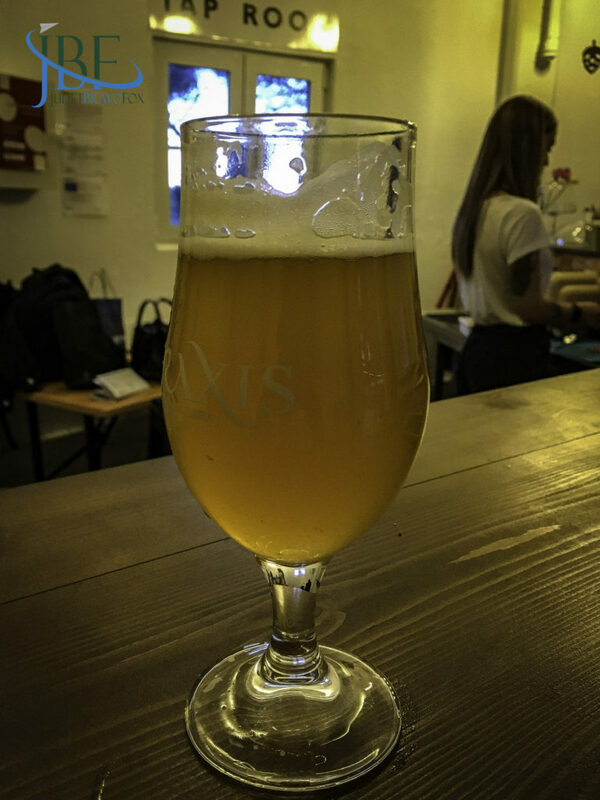 Marta Pardal began brewing her IPA, Sete Ais (7 years), in Magoito a couple of years ago, and it rose the ranks in my view as one of my favorites in Portugal. When the old, half-abandoned “summer camp” for the Portuguese national train company was purchased and rennovated into a new campismo and collective of shops, yurts, and a wine bar, Marta and her father Sérgio took the chance to turn the former water tower into a craft beer taproom with eighttorneiras. 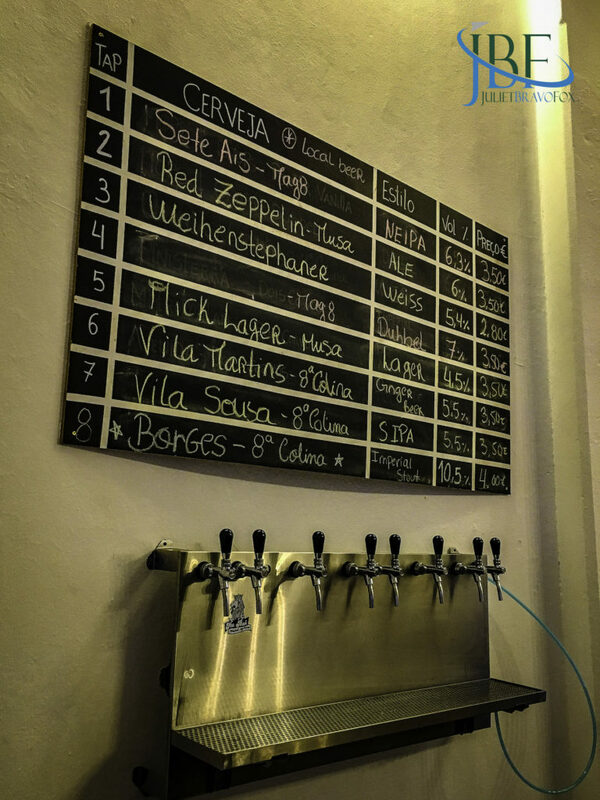 She started pouring late last spring when the camp, Aldeia da Praia, opened up, and we enjoyed our first freshly tapped Sete Ais on draft alongside guest beers from first class Lisbon operations like Musa and Oitava Colina. In fact, earlier this spring, Oitava Colina launched its Borges Imperial Stout on Marta’s taps. They have plans for a bigger space in Colares, with room to brew in house as they grow. 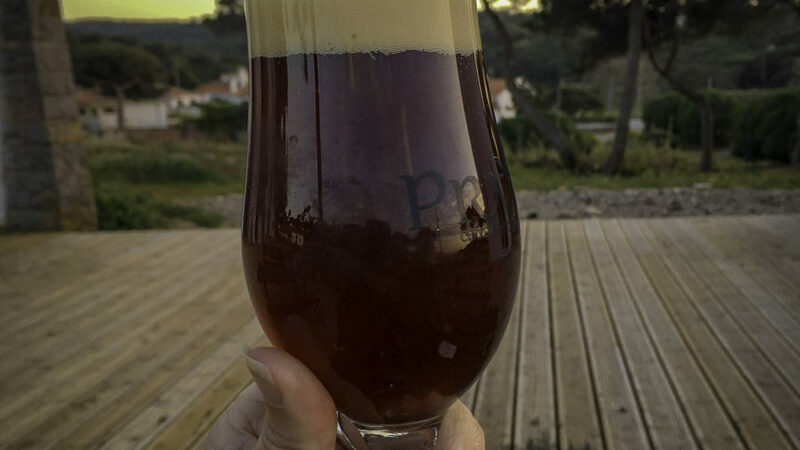 So I looked forward to her latest release, and last week it popped up: a Dubbel (as yet unnamed). Deep garnet colors with clove and honey aromas lead to brown sugar and a bit of copper kettle on the palate. 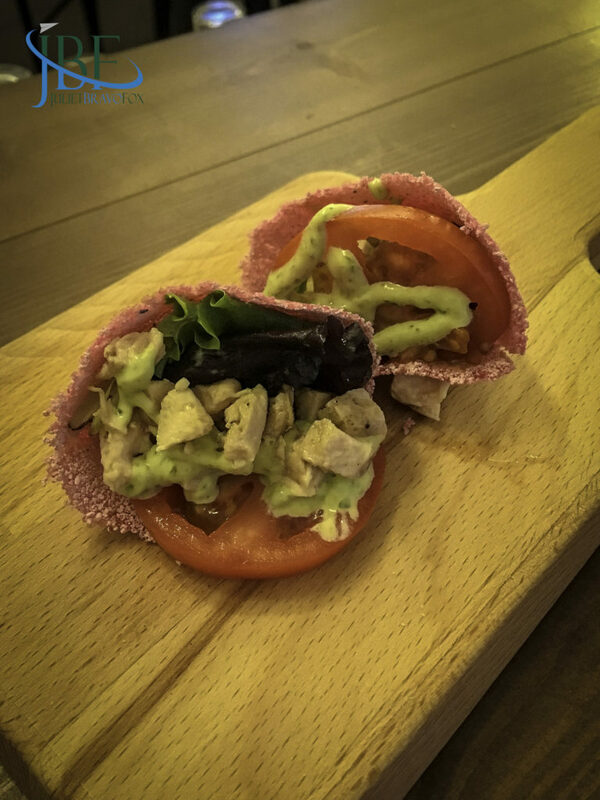 It went smoothly with her unique petiscos—“tapiocas” with salmon or chicken, or a sweet filling, made to order. 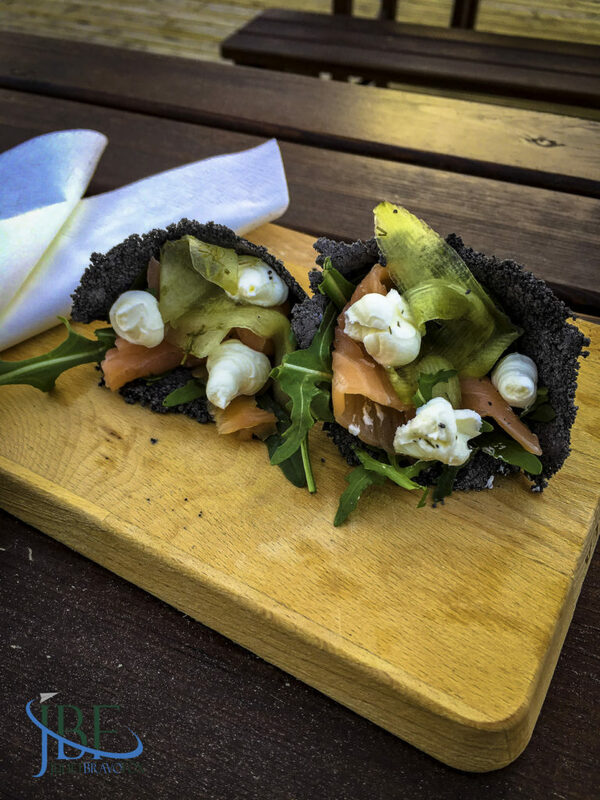 The wraps fend off hunger while you contemplate the sunset over the river to the beach.